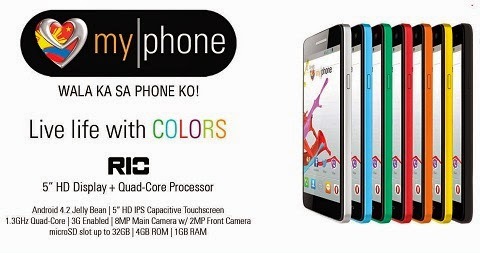 MyPhone officially released its latest dual-SIM Android smartphone that packs with 5-inch 720p display and 1.3GHz quad-core processor and 1GB RAM for under five thousand pesos, the MyPhone Agua Rio. The Rio is available in Black, Blue, Green, Orange, Red and Yellow color variants. It will be retailed for Php4,999 in all kiosks and MyPhone store nationwide. DTC holds Inventory Madness Sale!